Learn about Lafayette, Louisiana, by reading Along the Bayou – Lafayette Louisiana by Sandy Zimmerman, Travel Writer. It features a mini, but thorough tour of the destination, plus all you'll need to know to plan your trip including getting there, objective information on places to stay and eat, and things to do. At the end of the article, we've provided a summary of the contact information for your easy reference. Enjoy ! Lafayette, Louisiana is in the heart of Cajun country! Learn how to be a Cajun for a day and enjoy Lafayette in the most authentic way. Wake up to a Zydeco breakfast with live music. Eat your way through Cajun country with a food tour. In 1755, the British sent French-speaking Acadians into exile. Forced to leave their homeland in Nova Scotia, Canada, many of these settlers, now known as Cajuns, found a new home in Louisiana. They joined the Native Americans as well as Creoles, the descendants of African, West Indian and European pioneers. The Vermillion Ville village recreates buildings from the 1765-1890 time period. Vermillion Ville stands as a symbol of Louisiana life, recreating the way it was between 1765-1890. Experience their Cajun/ Creole heritage as you take the self-guided tour through six restored original historic homes and 13 reproductions of period buildings. Some of the buildings have interactive exhibits. 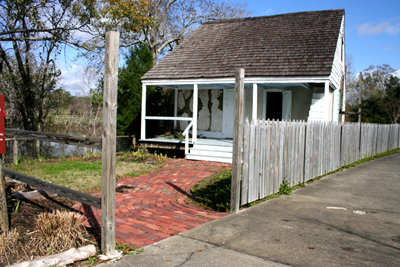 Nestled on the banks of the Bayou, visitors can take the boat tour to see most of the 23-acre village. Cooking demonstrations allow visitors to watch step-by-step instructions to prepare beignets, pain perdu, gateau au sirop, and king cake. 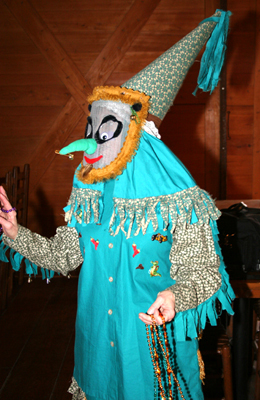 Visitors can take crafts classes to make rag dolls, cornhusk bookmarks, handkerchief dolls, the Mardi Gras capuchon hat and Mardi Gras wire screen mask. There are also classes featuring the Cajun two-step, waltz, jig, and Zydeco for groups. One of Vermillion Ville’s highlights was the Cajun Mardi Gras show! We walked into the world of the Cajuns, as a costumed lady, the “Courier de Mardi Gras”, greeted us with gifts of beaded necklaces. She was the symbol of Mardi Gras wearing the traditional Cajun Mardi Gras outfit - a painted screen mask, tall dunce-style hat and long, colorful gown. One Indian entertainer Alton “Lil Tiger” Armstrong was wearing an elaborate costume that Las Vegas shows would envy. Tiger danced around the stage even though his costume weighed 50 pounds. He boasted of being able to carry up to 75 pounds. It was a piece of art with 150 small feathers, 6-dozen large feathers, jewels, and mirrors. Tiger takes an entire year to work on his costumes. A stuffed alligator guards the door at Prejean’s Restaurant. 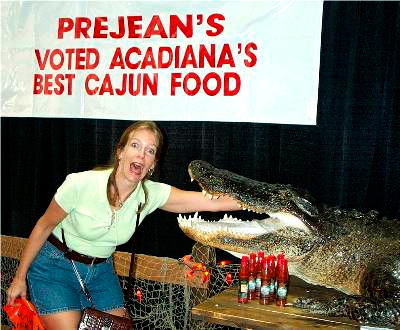 Step in the world of Cajun culture at Prejean’s Restaurant! True to their motto “Simply Cajun! Simply delicious!” Prejean’s has the look, sounds, and tastes of Cajun Country! Awarded over 240 culinary medals and honors for their edible art, guests know they will be enjoying authentic Cajun cuisine. A great way to learn about Cajun cooking is to attend Prejean’s cooking school featuring three traditional Cajun dishes: Crawfish etouffée, seafood gumbo and Acadian-style bread pudding. “ Big Al”, the large 14-foot long stuffed alligator captured in Louisiana’s Grand Chenie swamp greets visitors to Prejean’s! Live Cajun and Zydeco bands appear nightly with plenty of room for dancing. The Cajun’s have their own version of the two-step, waltz, and fox trot. Usually someone will be happy to show you the steps. The fiddle and triangle are traditional Cajun instruments. The first Acadians who arrived in Louisiana did not have any musical instruments. They learned to make their own instruments from household items like spoons, washboards, and clacking sticks for percussion. Originally specially designed accordions were shipped from Germany, today accordion builders have created their own small (6”x 11”), lightweight (8 pounds) musical instruments. Cajun music was not written but handed down throughout the years. We tasted great down-home, stick-to-your ribs cooking at Ema’s Restaurant. Although the owner, Ema Haq is from Bangladesh, he has won awards for his Cajun meals! La Cuisine de Maman (Mama’s Kitchen) is a plantation-style restaurant inside Vermilion Ville. Choose either the glass-enclosed patio or inside the dining room for an all-you-can- eat buffet or traditional Louisiana lunch. You will find Louisiana’s prices very reasonable. Colorful Cajun Mardi Gras screen mask and costume. Visitors are invited to join some of the Krewes during the Mardi Gras festivities. The 18 different Krewes are the backbone of Mardi Gras, the people who help organize the balls, ride in the floats, arrange entertainment and all of the details for the two month long events to succeed. Lafayette’s parade runs for five miles and lasts around 3 hours. Some of their 20 Brazilian- themed double deck floats are large enough to hold 30-40 people, with a small space for each to keep the throws (beads, souvenirs, and other trinkets), a porta-toilet, and a generator to power all of the dazzling lights. You do not have to be a local to be a member of these Krewes . . . all you need is the espirito! Membership in the Krewe gives their full participation in the three main activities. Krewe membership costs vary per couple in addition to buying the throws and costumes. Just apply on the Krewe’s website or ask the Lafayette Convention and Visitors Bureau. This would truly be a vacation to remember! Lafayette is located 129 miles from New Orleans, 229 miles from Houston, and only 35 miles north of the Gulf of Mexico. Hampton Inn always offers complimentary all-you-can-eat hot breakfast. Contact the Lafayette Convention and Visitors Bureau to ask questions about Mardi Gras, swamp tours, festivals, accommodations, sights, restaurants, settings for weddings, historic downtown district, and entertainment. Lafayette offers special facilities for banquets and conventions. Their phone number is 800-346-1958. Their web site is http://www.lafayettetravel.com/. Notice: This information is current as of August 2007. It is recommended that you contact the numbers, and/or visit the web sites above to determine any changes to the information.